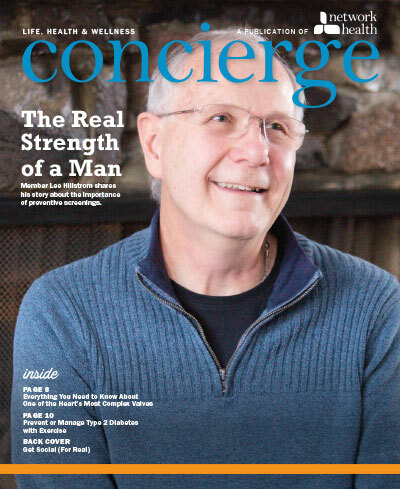 Our member newsletter, Concierge, keeps our members informed and provides education on important topics. It includes helpful tips and advice for your life, health and wellness as well as feature stories about members. Plus, it gives tips and highlights the best ways to use your plan and get the most from your Medicare coverage. 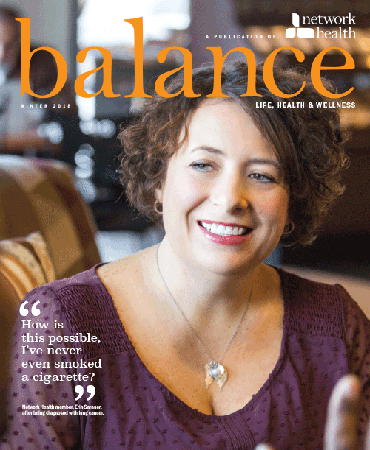 Balance is a newsletter available to our non-Medicare members. 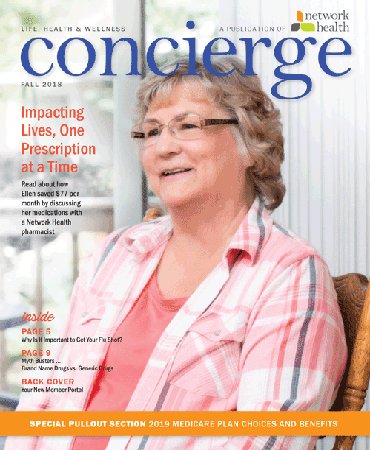 Each issue of the publication features inspirational stories from members, healthy tips, health care news and updates on new services and programs. With a focus on life, health and wellness, Balance is a resource that can help you make the most of your plan and your health. Thanks to our members for your comments and feedback about our newsletters. 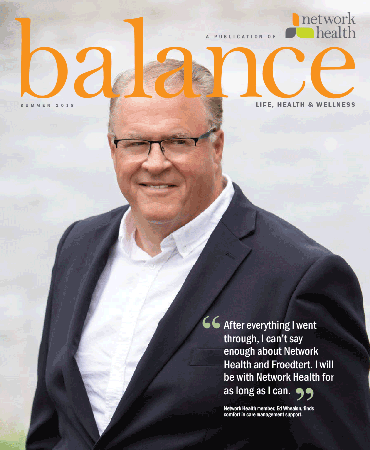 Please continue to email your feedback to marketing@networkhealth.com. You can also write to us at Network Health, Attention: Katie Sharratt, 1570 Midway Pl., Menasha, WI 54952.